The eight-second rule also applies to life and our pursuit of our dreams. In bull riding, there is no score for the bull you do not ride, or the bull ridden only for seven seconds. It is impossible to achieve a dream or live bodaciously if you never pursue bodacious opportunities or give up too soon. You do not realize profits in business for a sale that was almost made. Life-long goals and lasting relationships are missed by not living courageously. Too often, we quit on our opportunities and relationships with only one second remaining. All too often, just as we are close to going the full eight, we give up. To live bodaciously, you have to go the full eight! To go the full eight you must have extraordinary commitment, unrestrained action, and bold execution. Once the cowboy bucks off, he does not get a second chance to ride the same bull the same day. However, he does have the option to pay his entry fee at the next rodeo and get on another bull. In pursuit of our dreams, we will come close to succeeding in bodacious opportunities only to â€œbuck-offâ€ with one second to go. We succeed at our dreams not because we are successful in each opportunity, but because we get up off the ground, pay another entry fee, and pursue the next bodacious opportunity. There will be times you will fail to be the type person you should be. Do not stop trying just because you fail once; or even more than once. Get up and pay the entry fee again. To be a successful bull rider, the cowboy must look at what he did wrong after each ride and then make corrections on the next ride. The same applies to failed relationships and opportunities; look at what you did wrong instead of focusing on what the other person did wrong to you. Pay the entry fee, make corrections, and try again. A cowboy will never ride a bull that he does not get on, and you will never grow a relationship with someone you never spend time being around. A complete bull ride is a full eight seconds; not seven seconds. If you want to have full â€œeight-secondâ€ bodacious relationships, you must commit time to developing the relationship. To get to know someone and develop a full and meaningful relationship, there is no substitute for time spent with another person. Only when you commit to spend time with someone will you experience a full eight-second bodacious relationship. Go the full eight seconds in relationships and opportunities; get up off the ground when you fail; pay the entry fee, and try it again. It may be your only opportunity to go the full eight, in a relationship or an opportunity. 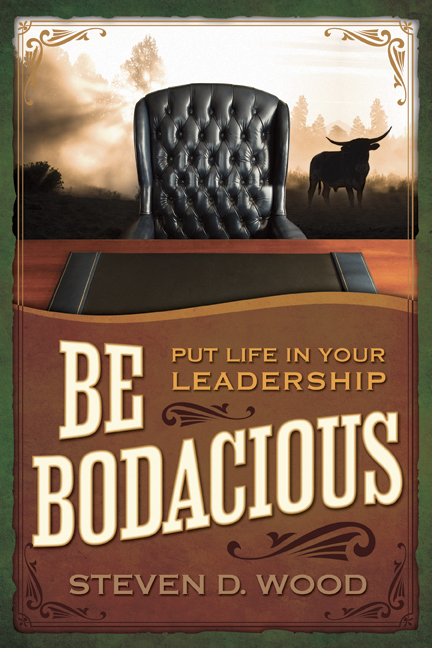 So go ahead and make the bodacious ride!